Bradley womens golf concluded its fall season this week competing in the Missouri Valley Conference Preview at the par-72 Sand Creek Station in Newton, Kansas. 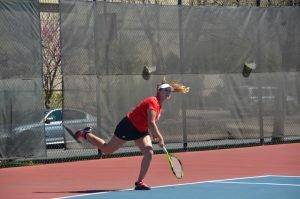 Senior Ally Scaccia led the Braves to a fifth-place tie in team competition with Indiana State University. The Braves finished with a team score of 924. Scaccia, junior Frankie Saban and sophomore Taylor Ledwein all finished in the top-20 for individual competition. 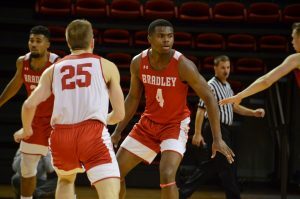 Bradley started the second day of play tied for fifth with Missouri State University. The Braves stumbled into the final day of play and finished 17 shots back of tournament champion, former MVC member Wichita State. According to head coach Mary Swanson, while the team is not happy with the result, it is moving on and working toward its spring season. We didnt quite reach our goals, but you cant do anything but move forward and use the knowledge that you gained from being there to get better, Swanson said. 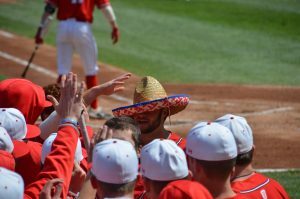 This knowledge will certainly help the team out transitioning into the spring season in a conference that will have a different look come April. With the powerhouse Wichita State Shockers now a part of the American Athletic Conference, Swanson said she expects the conference to be up for grabs. I do think it levels the playing field a little bit, they were the giants that everyone was pursuing, Swanson said. Scaccia will look to improve on her 82 career sub-80 rounds, third all-time at Bradley, in the spring season. The team will also look to the remarkable consistency of Ledwein who was the only player to play all 15 fall rounds in the 70s or better. Swanson said she credits the team’s overall consistent play to their emphasis on not compounding mistakes. To have a baseline, minimizing high numbers [and] minimizing high rounds, thats huge, because as conditions get tougher, par becomes more difficult, said coach Swanson. 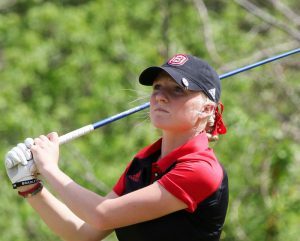 Bradley womens golf will have some time off as the team is set to tee it up next in February. The MVC championship will take place April 15-17 again in Newton, Kansas.